Wat Prachumrat (GC2D5PM) is one of nearly 500 geocaches in Thailand. 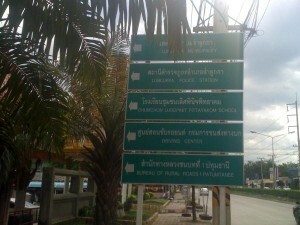 This urban Micro Cache takes treasure hunters outside of Bangkok to the district of Lam Kuk Ka. It was published just last month and has only been logged once so far. Geocachers visiting the cache will discover a Buddhist temple nearby. 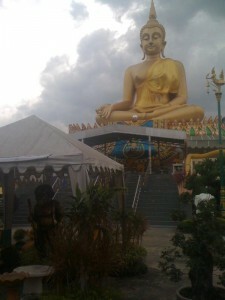 The three story gold Buddha you see to your left sits inside. The geocacher who hid this cache, JamieZel, is the owner of 33 geocaches. 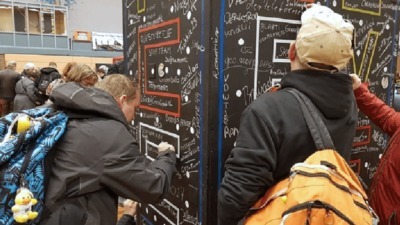 There are now more nearly 1.2 million geocaches around the world. You can explore all the Geocaches of the Week here. Have you ever geocached internationally? Sometimes what you see isn’t what you get. 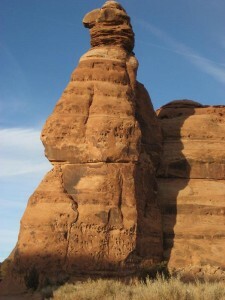 According to the cache owner, the geocache “Totem Pole Rock” (GCGY8P) is really Gooney Bird Rock. Whether you call it Totem Pole or Gooney Bird, hcameron‘s hide has still been logged nearly 200 times. The difficulty 1, terrain 1.5 geocache was placed in September of 2003. It has been found by geocachers from around the world. 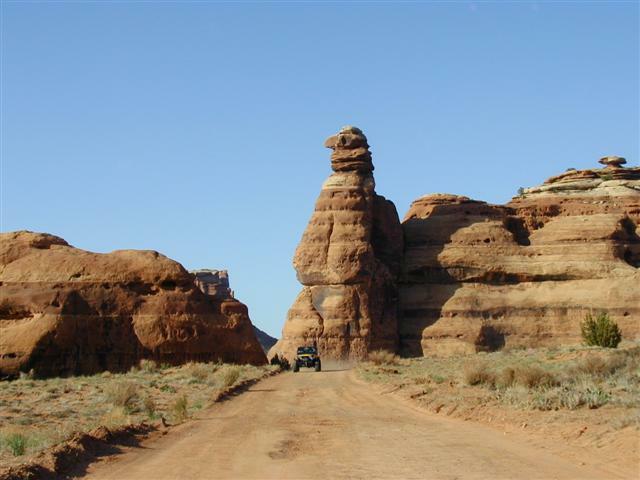 Adventurers simply drive outside of Moab, Utah to find the geocache. They should exercise some caution. As indicated by the vehicle in the picture above, four-wheel drive is recommended. 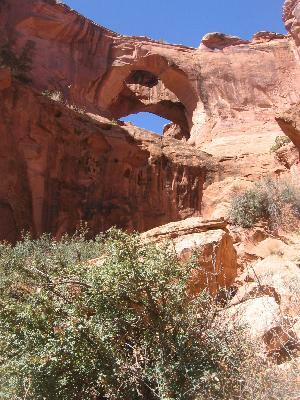 The desert in the Moab area is rich with scenic geocaches. A short drive away from “Totem Pole Rock” is “No Bull — Great Canyon” (GC12R1z). 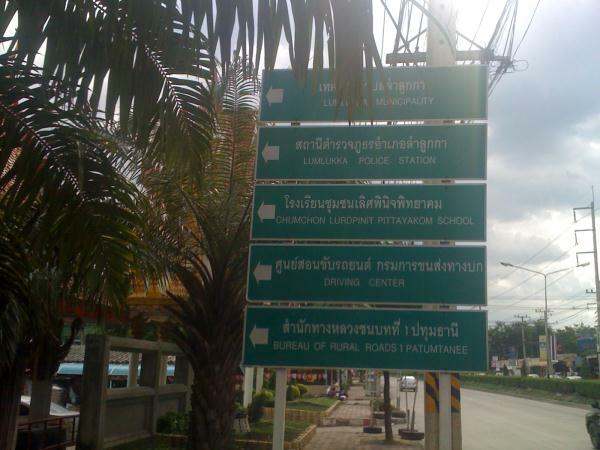 See the picture on the right. As with any geocache in an extreme environment, take precautions. 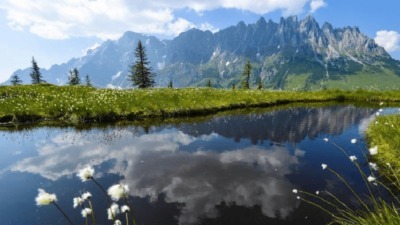 Make sure you pack plenty of water, a first aid kit and food. Geocachers, prepared with supplies, recently rescued two women who were stranded in the desert not far from these geocaches. You can see all the Geocaches of the Week by clicking here. This Geocache of the Week was chosen from the video monitor in the lobby of Groundspeak Headquarters. The monitor randomly selects a geocacher’s log, in real-time, every thirty seconds. The map zooms to the location of the cache that was logged. Geocacher CASTINE logged the find as I stood in the lobby of Groundspeak’s Headquarters 4900 miles (7886 km) away. 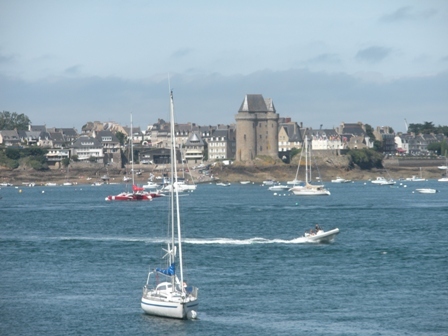 GR34 – Pointe de la Vicomte (GC1Q0VM) is located in Saint Malo, France. Watch the video below to see the selection. Geocachers describe the location of the cache as a mix of history and nature. The geocache is rated a difficulty 1.5 and a terrain 1.5. Gdugardon hide the cache in April of 2009 along the GR34. The “GR” stands for Grande Randonnée, translating to Grand Walk. 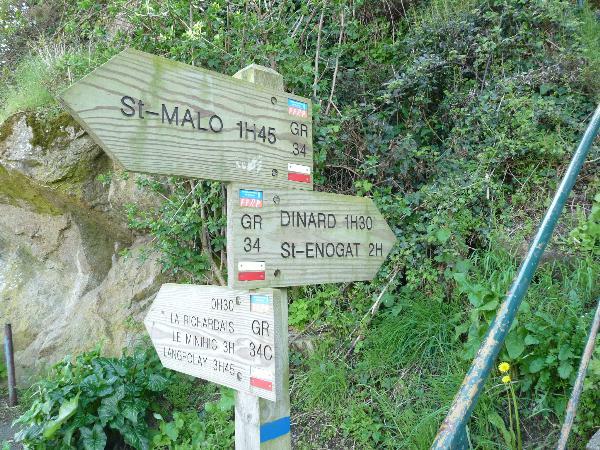 The GR34 is a walking path that skirts the coast of France. It was created in the late 1700s to guard against smuggling. 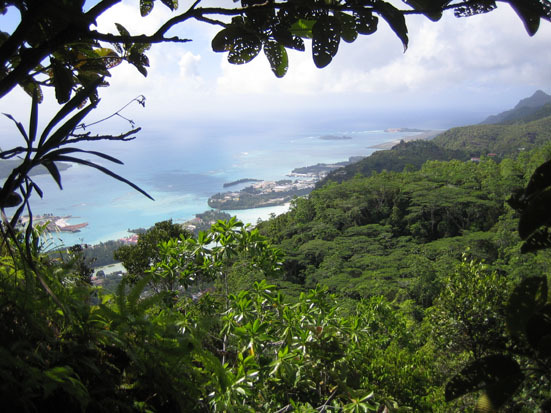 In modern times, more than 100 geocachers have discovered this view thanks to GR34 – Pointe de la Vicomte. 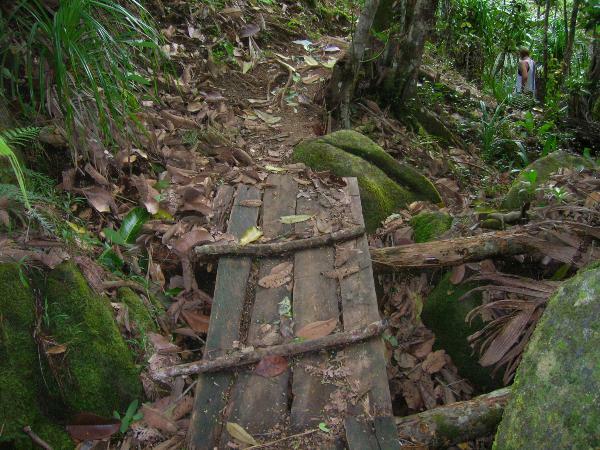 Explore the all the Geocaches of the Week. 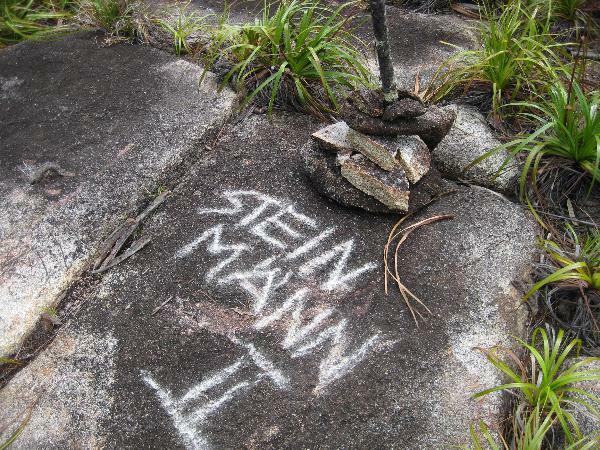 “Steinmaenncher” translates to English as “Stone Man.” Steinmaennchen 3(GC1BZ5M) is one of nearly two dozen geocaches throughout the island nation of Seychelles. The traditional cache takes geocachers up a steep slope and through a dense jungle on the main island, just outside the capitol city of Victoria. The key piece of advice from the cache owner, Motoleni, is to bring adequate water for the 1.5 km hike. We asked Motoleni why he named the geocache “Steinmaenncher.” His answer, in his native German, below, describes seeing the “Stone Men,” or cairns, as he drove his motorcycle through the mountains. 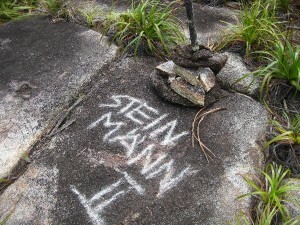 The piles of rocks were used to hold sign posts. He asks geocachers to create a cairn at the site of the geocache. So far, there are nine cairns at the site – some even have painted rocks. 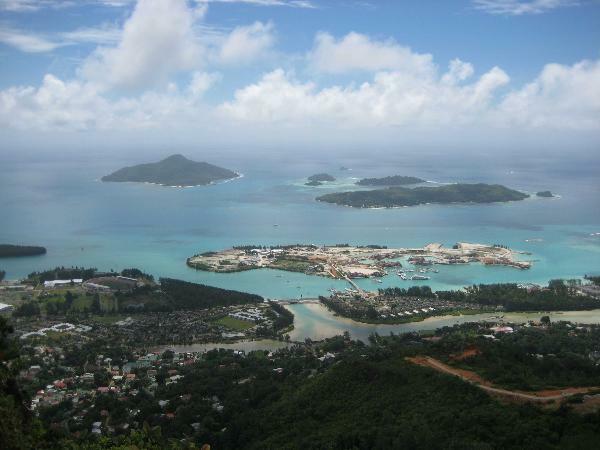 You can explore all the world of geocaching by checking out all Geocaches of the Week. 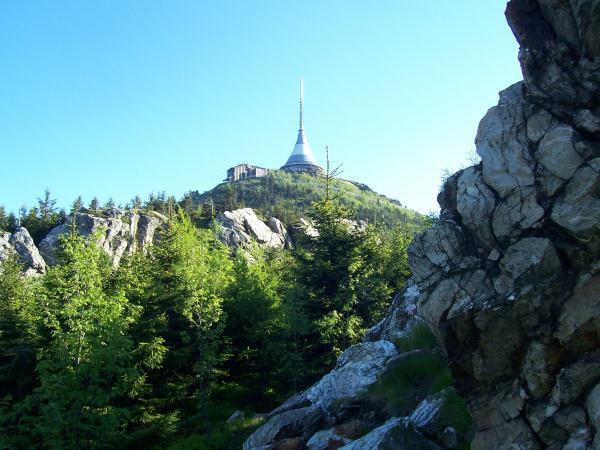 The Czech Republic geocache “Jested” (GCKDBV) rests high on Mt. Jested, not far from the border of Germany and Poland. 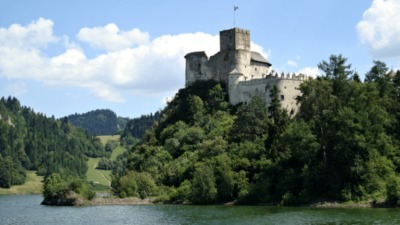 The search for this cache takes you to one of the most stunning landmarks of Northern Bohemia, Jested Tower. 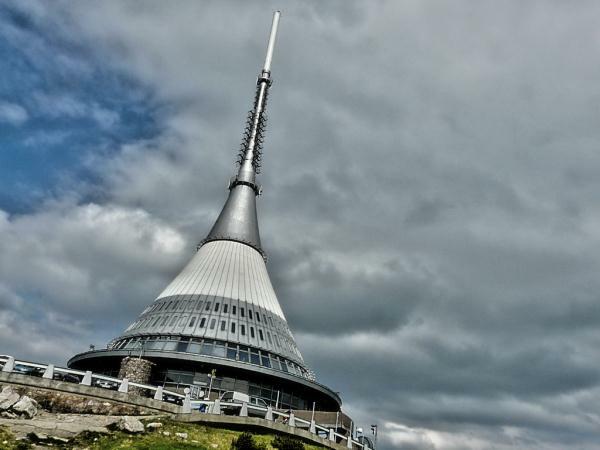 The structure is an architectural feat which combines a 94 meter (308 foot) tall transmitter tower, a hotel and a restaurant. More than 1200 geocachers have logged “Jested” since Dorcadion Team hid the cache in August of 2004. 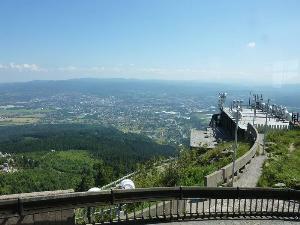 Beyond discovering the traditional geocache, you’ll also find an amazing view that extends to Germany and Poland.